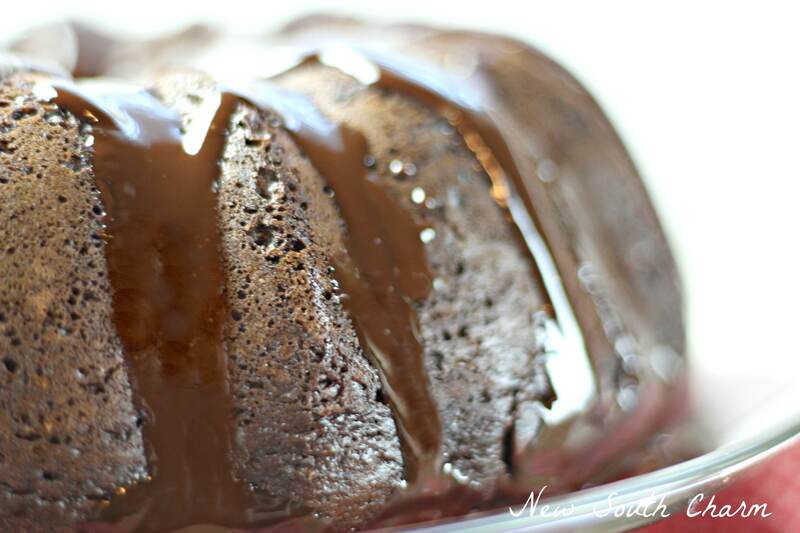 This Chocolate Bunt Cake with Chocolate Ganache Glaze is moist, smooth and easy to make. It’s so good that you won’t believe that it comes from a mix. I’m not much of a baker. That’s just a fact I’ve come to accept. Over the years I’ve learned to make a few recipes. This cake is one of those recipes. It’s so easy to make it’s foolproof. To make the cake you simply pour the ingredients in a large bowl. Then combine with a mixer. I use a hand held mixer stopping a couple times to scrape the sides with a spoon. If you want yo can mix the batter by hand. Once everything is mixed together pour the batter into a greased bunt pan. The place in preheated oven for an hour. Before removing from oven make sure cake is fully baked by inserting a toothpick two inches from edge of pan. If toothpick is clean when removed the cake is done. If toothpick is not clean; bake an additional in five minutes until a toothpick is inserted and removed cleanly. Place cake on cooling rack and cool for one hour. Once cake is cooled you can dust it with powered sugar and serve. 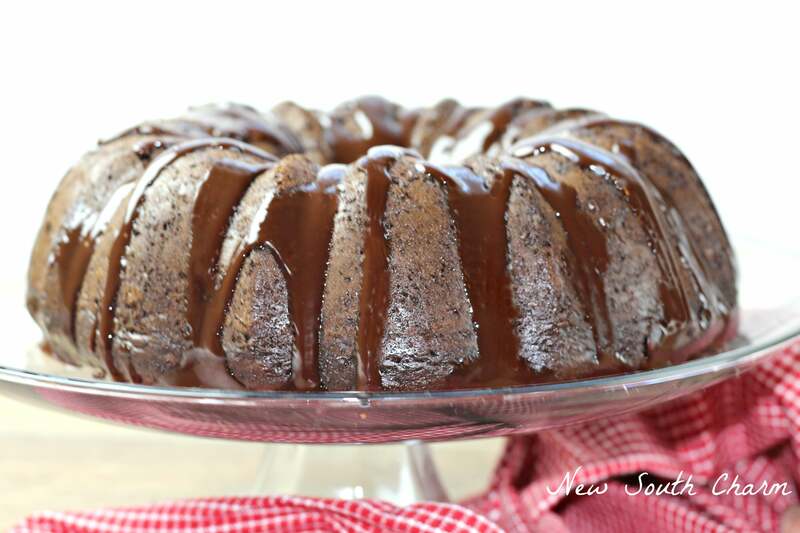 If you want to take it over the top then you can add a chocolate ganache glaze. The recipe I use is really simple. I promise It’s as foolproof as the cake. 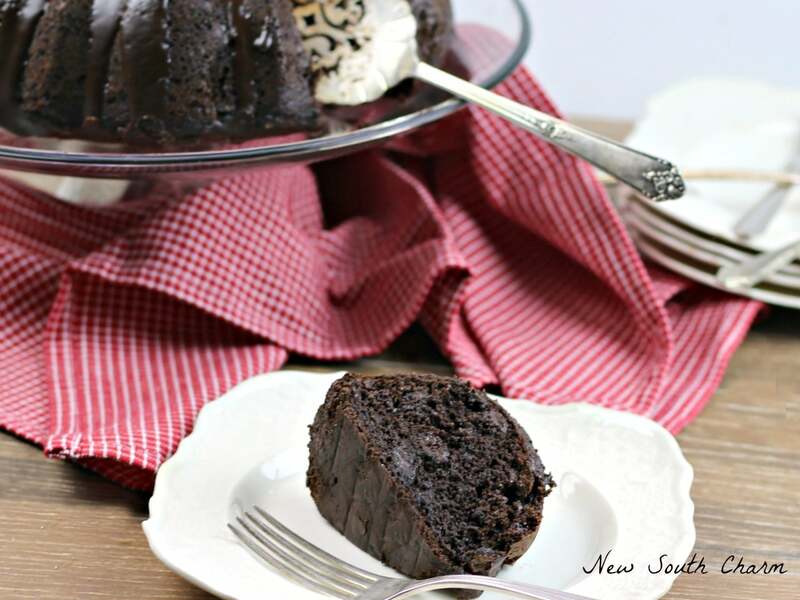 It’s smooth and rich and will make this cake sinfully decedent. To make the ganache bring one cup of heavy cream to a low boil. Then in a bowl with a lid cream pour over 1 1/3 cups semi-sweet chocolate chips. Stir the chips around to make sure they are all covered by the cream and seal the bowl. Wait five minutes. Uncover and whisk until mixture is a rich chocolatey brown. Let stand to bring to room temperature, about ten minutes. Then pour over cake. I use a small measuring cup to pour the ganache. 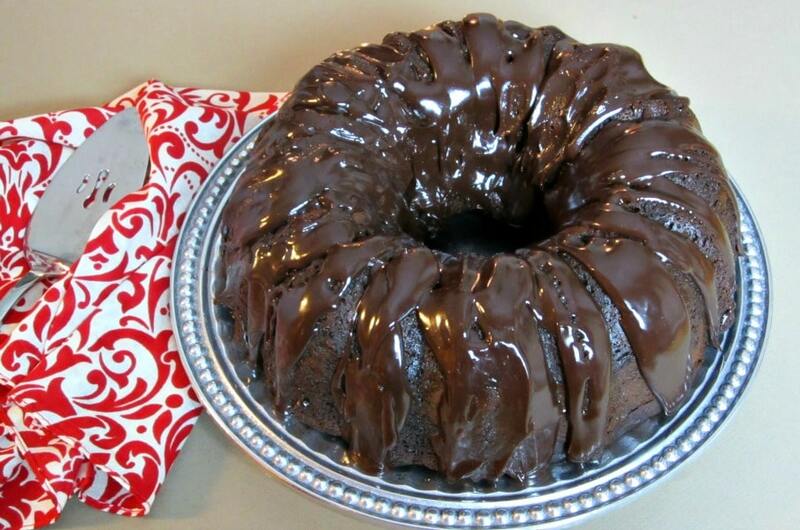 But you could drizzle it with a whisk or fork for a different look. So if you’re asked to bring a dessert to a holiday party or potluck don’t panic. Just make this cake and everyone will be impressed. No one has to know you started with a mix, and that the icing was as easy and stirring a whisk. Pour cake batter into greased bunt pan. I’m not much of a baker, either. This I could maybe handle. Thanks for sharing! Yum, yum !! Delicious !! Susanne, ,your cake is great. I would love you to stop by Food on Friday: Cakes over at Carole’s Chatter to add this to the cake collection! Cheers! This looks like a delicious Cake, we will love it. Wishing you and your family a bountiful Thanksgiving and thanks so much for sharing with Full Plate Thursday. Hi Susanne! This looks so decadent but sounds so easy. I sometimes add a bit of this and that to a humble box mix. Thanks so much for sharing at Thriving on Thursdays. I’m featuring this one at tomorrow’s party. Hope to see you again. Thanks so much Anne! 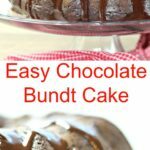 This is cake is one of my favorites to make because it’s just so easy. I always get compliments on it. Happy Thanksgiving to you! This cake was big hit! Even one of my guest was not much a cake person. He even had 2nd. The whole cake was devoured. Very very easy to make too. Thanks for sharing.